Your one stop entertainment source. est.1992. Experience Matters. Emily and Charley were married Saturday and held a beautiful wedding reception at the Landmark Larchmont Yacht Club in Westchester NY. It was an elegant, dance filled reception! 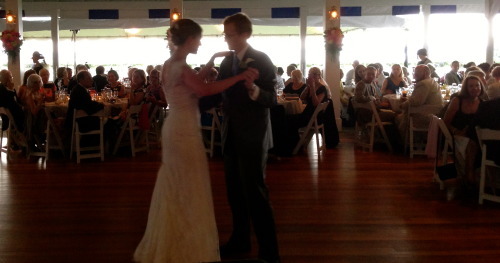 The wedding was expertly run by top wedding/event planner Laura Remmert from Laura Remmert Events. 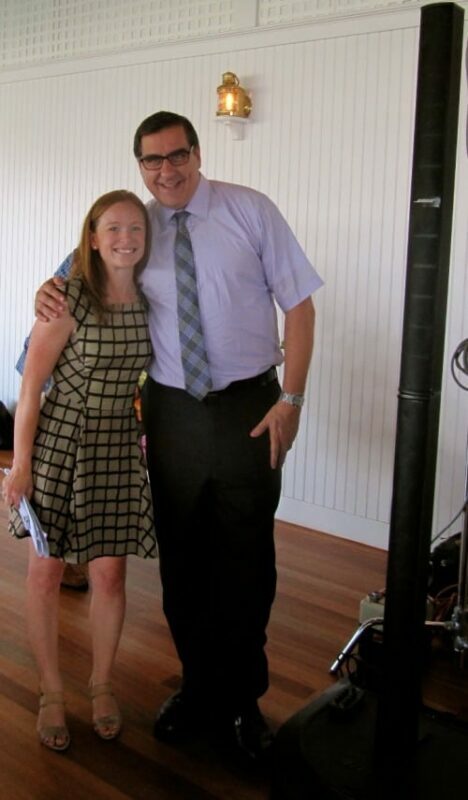 Here is a photo of Expressway Music DJ/Owner Dave Swirsky and Planner Laura Remmert. 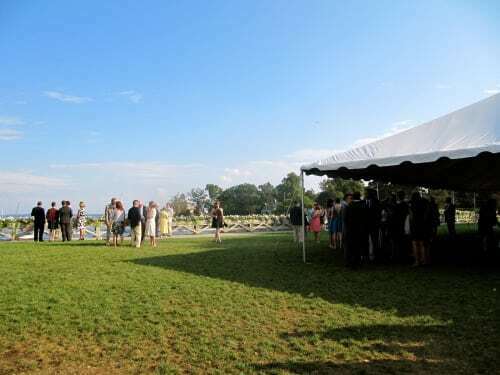 The Larchmont Yacht club is situated on the Water and it couldn’t have been a more beautiful day. Here is a photo of Cocktail hour…. Thank you to Laura Remmert, John Wall from the LYC and of course to Emily and Charlie who we wish all the best!!!!! Thank you for visiting our Event DJ and Music website! What sets us apart from the majority of Disc Jockeys in NYC is that we are truly experienced Mobile DJ’s. 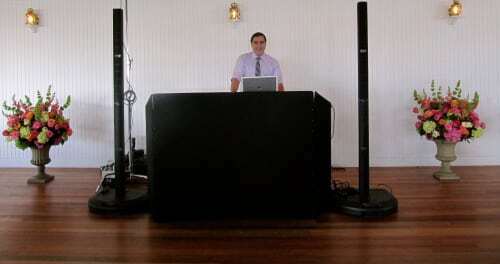 You will find that most Wedding DJ’s have very minimal experience DJ’ing important (and costly) events. We have thousands and thousands of hours experience DJ’ing any and every type of event you can name. There is no substitute for it. We know the venues, how to navigate NYC Gridlock traffic and how to keep a dance floor popping. We are experts on details. Which is what comprises a lot of what we do. We opened Expressway Music here in New York City in 1992 and proudly have over 25 years of reviews and references from all types of clients who care about great music and their guests having a great time. Your Expressway Music DJ will have many years experience as Wedding DJ, Bar/Bat Mitzvah DJ, Corporate DJ and Event DJ at the finest event and party spaces in NYC, Brooklyn etc have to offer. In addition, when you come to us you are coming to a ONE STOP ENTERTAINMENT SOURCE. By getting your music, photo booth, photos etc from us it avoids you having to deal with many different vendors whom all have different terms and conditions. Let us handle everything for you! Our coverage is wide as well. 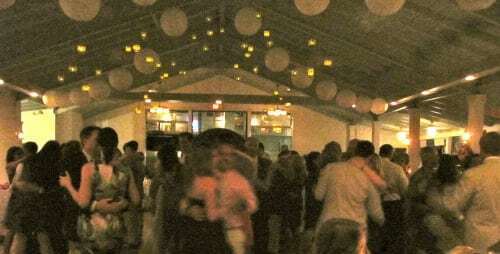 From all the gigs we DJ in New York we also DJ often in New Jersey, NJ, Connecticut, Long Island, Westchester, Rockland County, The Hamptons, Boston, Washington DC and Philadelphia(we do many destination weddings as well). Thank you again for checking out our page and our Disc Jockeys.Experience Matters! Contact us! Let’s discuss your event!! !